Stay tuned because this list may grow in the coming weeks! You can now purchase passes for the OpenNebulaConf 2018 in Amsterdam at the very early bird price, which saves you 40% off full price passes. Register NOW before the prices increase!. Please register asap, seats are limited!. Hope to see you all in Amsterdam at OpenNebulaConf! https://opennebula.org/wp-content/uploads/2018/11/opennebula_cloud_logo_white_bg-4.png 0 0 OpenNebula https://opennebula.org/wp-content/uploads/2018/11/opennebula_cloud_logo_white_bg-4.png OpenNebula2018-02-26 12:28:432018-11-26 11:44:55OpenNebulaConf 2018 - Early Bird Reg Open! This year, the OpenNebula Conf will take place in the city of Amsterdam from November 12th to 13th and we want you to be part of our team of sponsors and profit from OpenNebulaConf’s popularity as a supporter of the event! 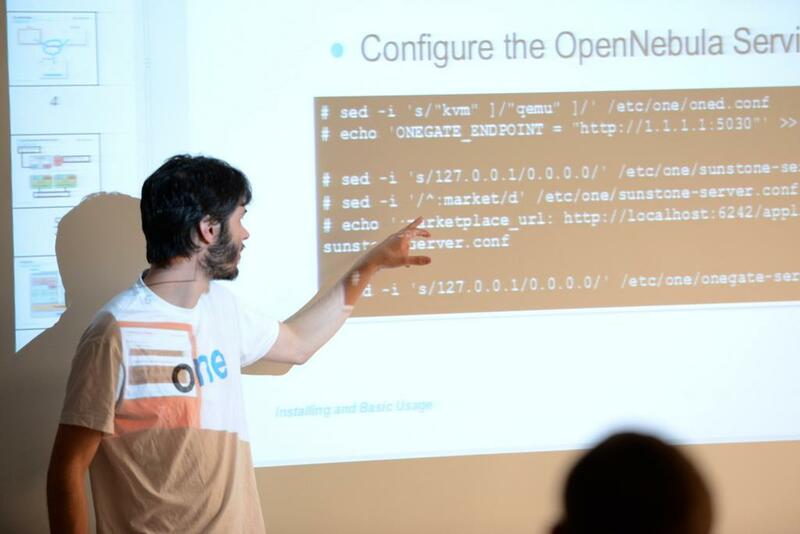 In the last editions of OpenNebulaConf, we offered fully packed days of hands-on deployment and operations tutorials, developer working sessions, networking sessions and talks covering OpenNebula case studies and more. We enjoyed presentations from notable OpenNebula users and industry leaders like Akamai, Produban – Santander Bank, CentOS, Runtastic, Puppet Labs, Cloudweavers, RedHat, Deutsche Post, Unity Technologies, BlackBerry, Rental, Citrix, LRZ, FermiLab, Harvard, Trivago and European Space Agency. The international attendees were open source interested and known as a highly networked target group which acts as a multiplier. 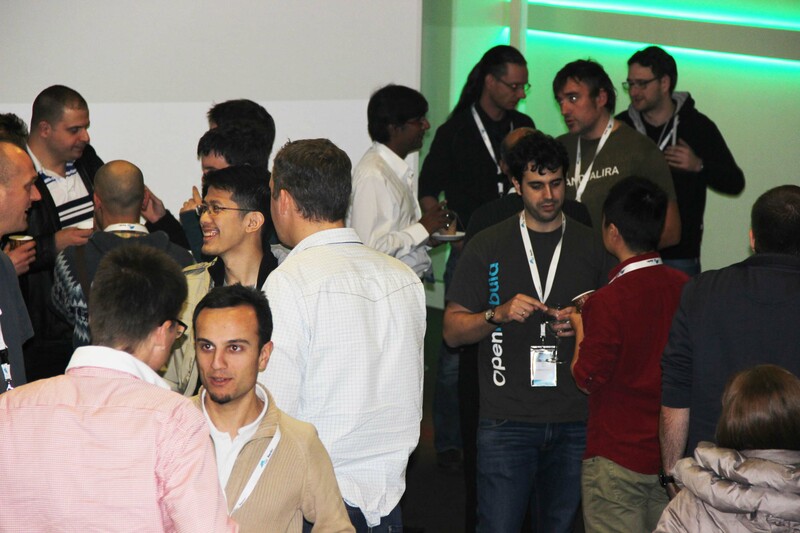 Having a presence at OpenNebulaConf 2018 is a great way to get your company in front of the OpenNebula community. There are three available levels of sponsorship: Platinum, Gold, and Silver. 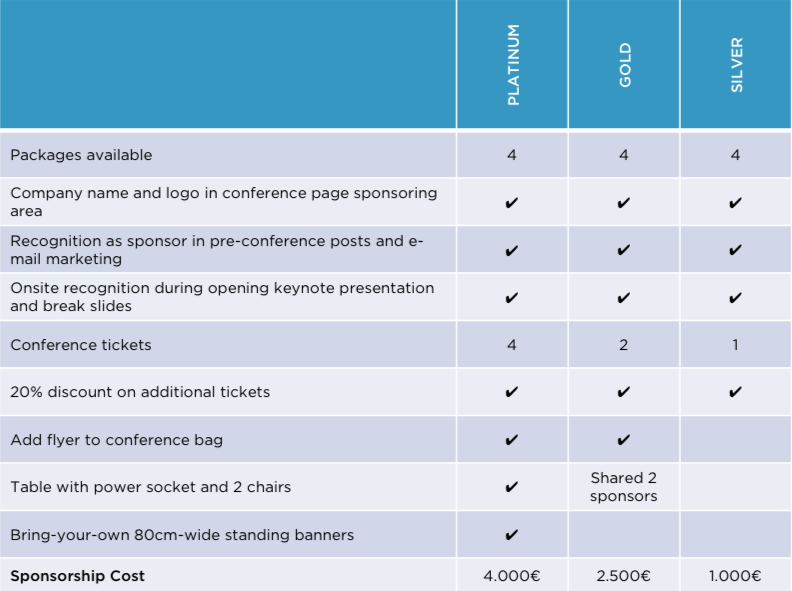 The table below shows the cost of each sponsorship package and what is included. Thank you for your interest in sponsoring OpenNebulaConf 2018! After years running my own private cloud home and at my startup company, I decided to start privazio. Privazio is a data-center class private cloud targeting residential users and small companies with a special focus on privacy. Privazio is currently under development. OpenNebula is a fantastic cloud management platform that incorporates the one key feature that Privazio requires most: simplicity. OpenNebula has also a pretty reasonable entry-level hardware requirements. OpenNebula is then the ideal foundation for Privazio. It would be great to take simplicity further by providing an Ansible module to manage OpenNebula. Any other functionality provided by Privazio will also be managed through Ansible making everything fit together nicely. In order to develop an Ansible module we need a robust Python API for OpenNebula. This is not an easy task considering that OpenNebula is constantly being improved and its interfaces are likely to evolve. OpenNebula provides a robust XML-RPC API for which XML Schema Definition (XSD) files are distributed. Pyone uses the Schema Definition files to auto-generate the Python Bydings with PyXB. On the other hand, OpenNebula’s XML-RPC API is consistent in the way in which calls are made, data is returned and errors are triggered. This allows for Pyone to subclass Python’s xmlrpc.ServerProxy class implementing all OpenNebula peculiarities in one go: authentication, error conditions, special data types, etc. By auto-generating the bindings and subclassing the proxy object maintainability and completeness should be achieved. In theory future OpenNebula releases would only require updating the XSD files and regenerating the bindings. Furthermore, making client calls and navigating the results match 100% the provided Open Nebula XML-RPC documentation. PyOne will completed and matured while developing an OpenNebula module for Ansible. If you feel like contributing, please checkout Pyone in Github! 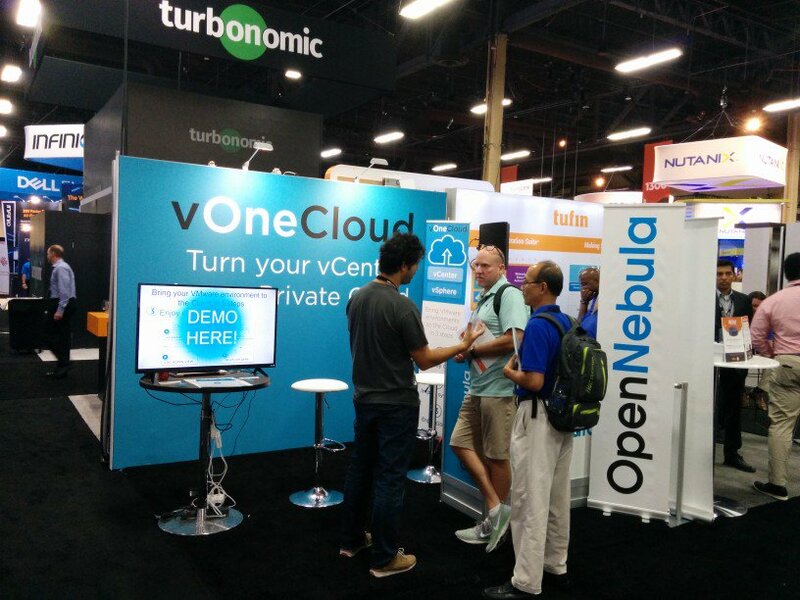 This 2018 the OpenNebula team will run a booth again in both editions of VMworld. We will showcase the latest version of your favourite Cloud Management Platform, as well as the latest version of vOneCloud, both with the wealth of new features that are currently a work in progress. If you’ll be around Las Vegas or Barcelona on the following dates, save them and come round the OpenNebula booth! We will keep you posted about pending details, like for instance the number and location of the booths. See you in Las Vegas or in Barcelona, or in both! OpenNebula has entered 2018 stronger than ever. January has been a month for planning and discussing OpenNebula’s roadmap. Here you have a brief summary of OpenNebula’s progress in this first month of the year. Pay special attention to the outreach section, OpenNebulaConf2018 is confirmed! Good news for our beloved users, OpenNebula 5.4.6 is here! This release brings a lot of bug fixes and some new functionalities. The network topology now works as a charm with networks with over a thousand machines. You can see how we managed to do so here. As some of you requested, we have also include new commands to onedb on the CLI. These new commands will be extremely useful for recovery purposes, like for example, adjusting the showback. Of course these are just some examples, for the full list of features and fixes you can always visit our documentation. 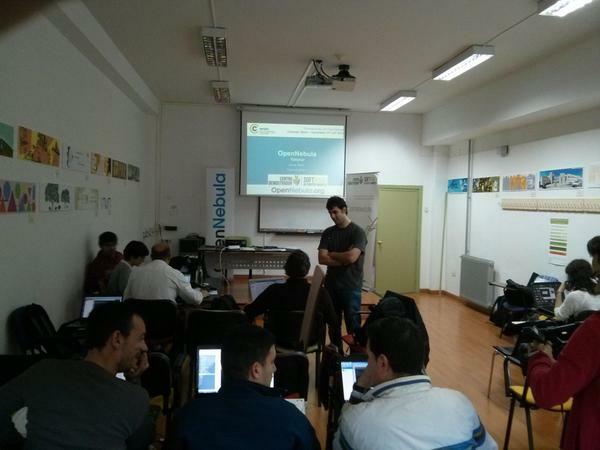 The team has rev the engines for the next major release, OpenNebula 5.6. Stay tuned for exciting new features! We are having a very intense year kickoff, this means, great news for and from our community! OpenNebula team wants to welcome OneHost Cloud. They announced recently via Twitter, OneHost is migrating from OpenStack to OpenNebula. We have chosen Opennebula to build our new cloud platform which will provide increased performance and simplicity for our current and future customers. An enlightening tutorial was made by our colleagues from Pandora FMS. In this tutorial you will learn how to do the monitoring of your cloud using OpenNebula, along with other useful tips. NodeWeaver team has released, for all of you, their LizardFS drivers for OpenNebula. This is a great chance to try out this amazing storage technology. To install this new drivers you can follow the guide on the github repository. Cheering news coming from Virtuozzo. They have added support for OpenNebula. Now users will be able to manage their Virtuozzo Hyperconverged Infrastructure through OpenNebula. 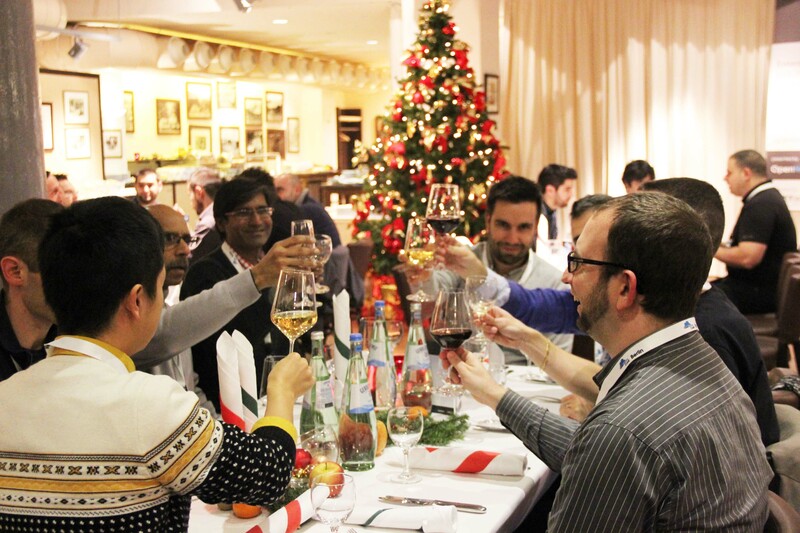 All the benefits of this synergy are described in this excellent post, written by, Stanislav Khalup, program manager at Virtuozzo. As announced in our forum, one of our most experienced users, Rafael del Valle, has created PyOne, which is a fantastic implementation of OpenNebula’s XLM-RPC bindings in Python. If you are interested in seeing how this works check this link. Also this month, Valentina Zaccolo from the National Institute of Nuclear Physics in collaboration with INDIGO DataCloud, has published a very interesting post related to the implementation of a Fair Share Scheduler for OpenNebula. We already heard about it in our last OpenNebulaConf, but do not worry if you couldn’t assist, this article is very explanatory and easygoing. Our team is very excited to see these type of contributions which not only help OpenNebula, but all the users of the community. If you feel like you can help our community anyhow, do not hesitate to contact team or post directly in our forum. OpenNebula goes to the Netherlands! One more year we are doing the OpenNebulaConf2018 and this year it will take place in Amsterdam, one of the most modern cities in Europe. We are very excited about it because we will be presenting OpenNebula 5.6 with all its new amazing features and probably we’ll be scooping some characteristics of OpenNebula 5.8. Countdown is on, the date chosen for this OpenNebulaConf2018 is November the 12-13, you can’t miss the chance to come and enjoy our hands-on tutorials and listen to our community speakers which will talk about why they are in love with OpenNebula. A quick reminder for all of you that have not attend past OpenNebulaConfs. If you are interested in coming to OpenNebulaConf2018 and want to see previous events, check this link and have a look at the videos, pictures, talks, tutorials, etc. We will be updating this information in our OpenNebulaConf official website. In a few days we will also publish the TechDay and training schedule for 2018, stay tuned!